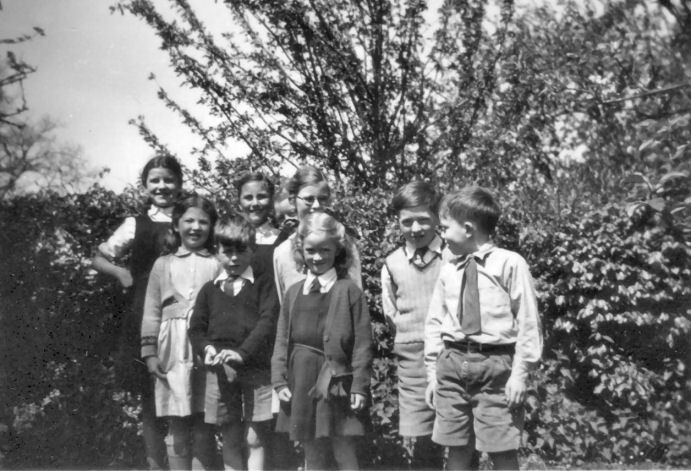 Pupils at Miss Wadland's School 1948/49. L-R back, Joyce Williams, Jill Lister, Jean Maynard, Rona Budgett, Richard Heal. L-R front, Valerie Dawson, ? West, Unknown, Nicholas West.